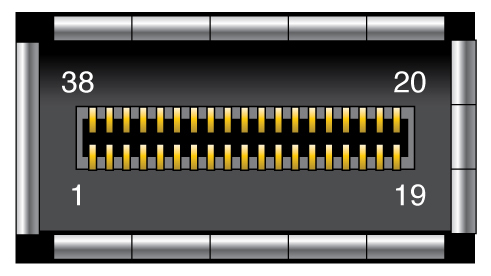 The QSFP connector is a single InfiniBand port connection. The following table lists the pinout for each connection. The following table provides descriptions of the QSFP signals. Module select on low - Enables reception of I2C commands. Module presence on low - Identifies existence of QSFP connector. Interrupt on low - Enables fault indication.